Bowhayes Farm is a thatched Devon longhouse built, we think, in the 1600’s. 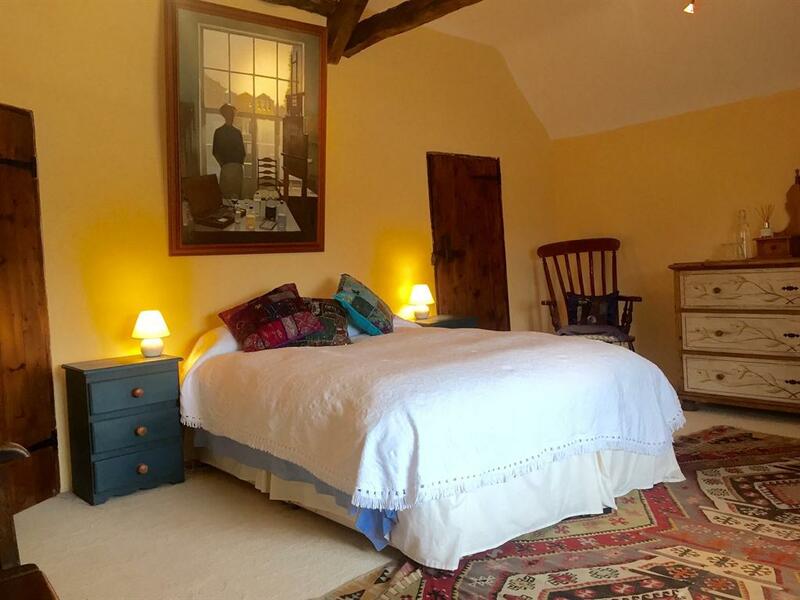 We have tried to retain its period features wherever possible and the accommodation has been finished to a very high standard using natural materials such as reclaimed oak and slate. Bowhayes Farm is the home of 'De-Stressage' - a unique project that offers an insight into 'The Horses' World'. Our 'tame, wild horses' live outdoors 24/7, are unshod and live in social groups. Observing their interaction and serenity provides clients with an opportunity to see life from a new perspective. Programmes can be tailored to individuals needs and can include our 'Yoga on Horseback' sessions which enhance core strength and body awareness. Situated in the beautiful Culm Valley on the edge of the Blackdown Hills AONB, the farm offers breath-taking views and access to spectacular walks and cycle rides. Our accommodation has been designed with comfort and relaxation in mind. We want you to feel 'at home from home' in the peace and privacy that we provide. Your own front door opens to self-contained accommodation comprising of 2 double bedrooms (the larger double can be made as a twin if required) with private bathrooms and a sitting room with wood-burning stove, satellite TV, DVD and free Wi-Fi. Kitchen facilities (mini oven with hob, fridge, tea and coffee making equipment, toaster) are also provided giving the feel of a private cottage but with breakfast cooked for you! Your host will be available throughout your stay to advise on local amenities, book tables and taxis and generally make your dreams come true! Delicious breakfasts and warm hospitality are our speciality!